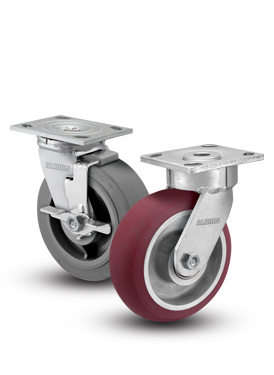 Precision raceways and fully heat-treated construction make the 110 Series the ideal solutions for applications exposed to rugged conditions or high amounts of impact and shock. 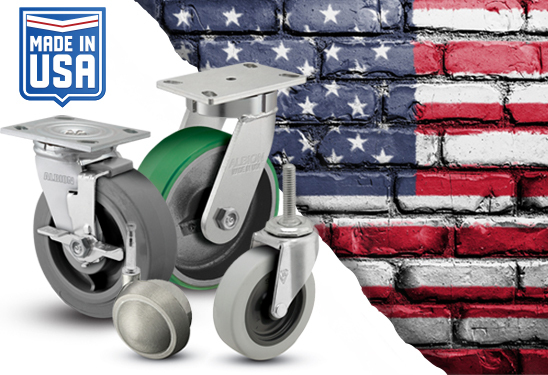 110 Series are more durable than competitors’ case or induction-hardened construction, and longer lasting than conventional kingpin designs. 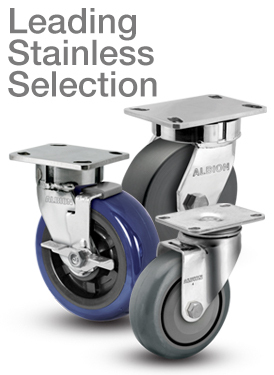 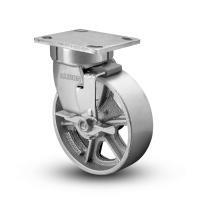 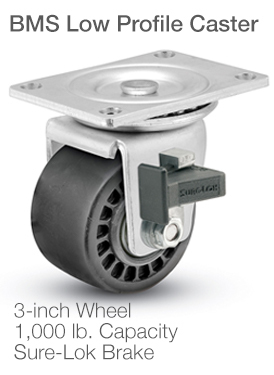 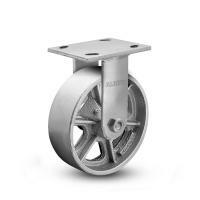 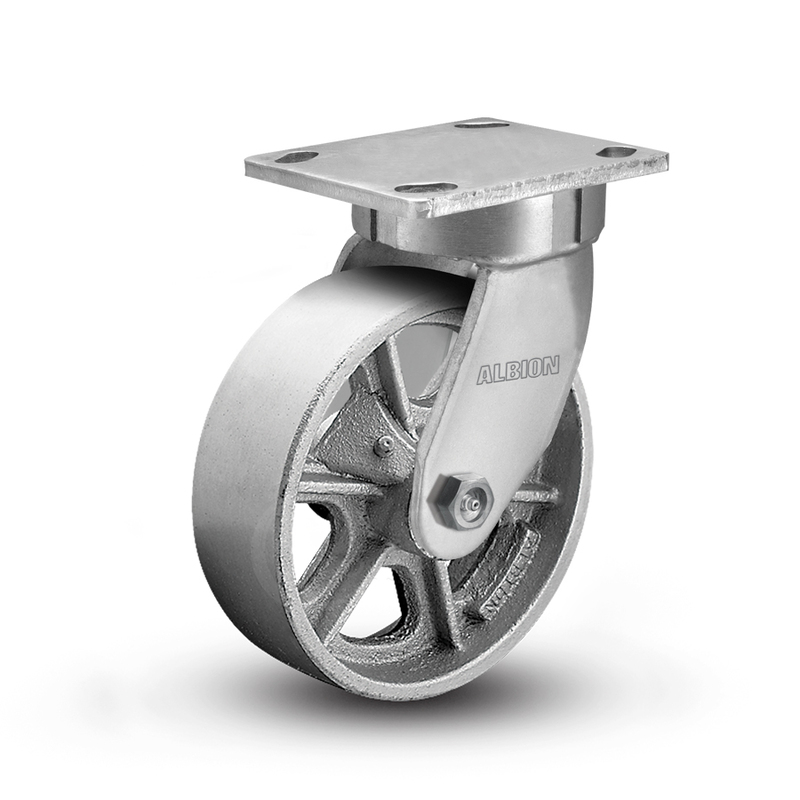 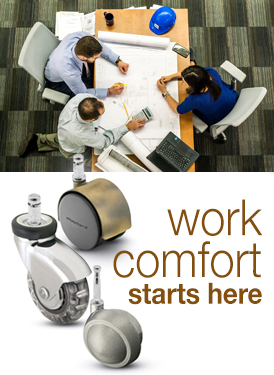 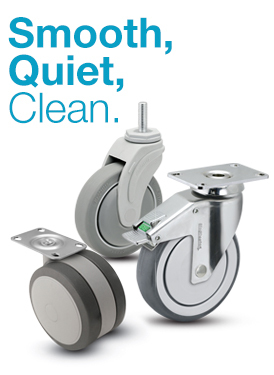 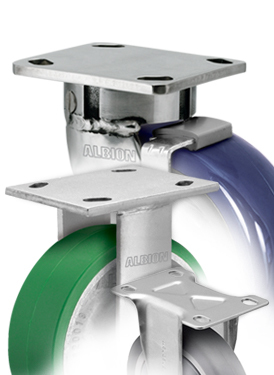 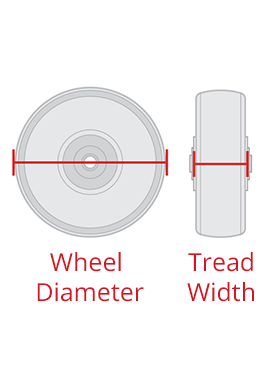 These kingpinless casters eliminate kingpin failure – the leading cause of caster failure. 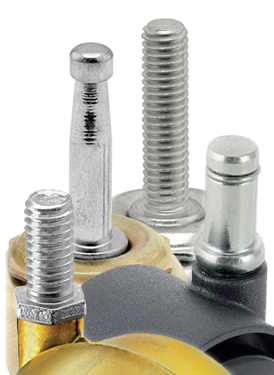 Zinc plating provides an attractive, protective finish. 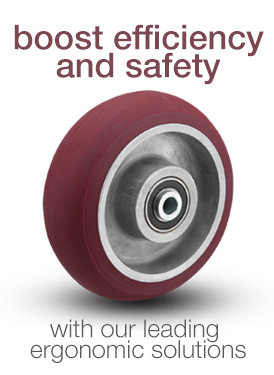 If purchasing for a power-towed application, please consult factory prior to ordering to ensure selection supports your towing requirements.